Propability developed various visuals and proposals along with detailed floor plans to depict the Inside Out film throughout two Disney flagship stores to help promote merchandise sales. 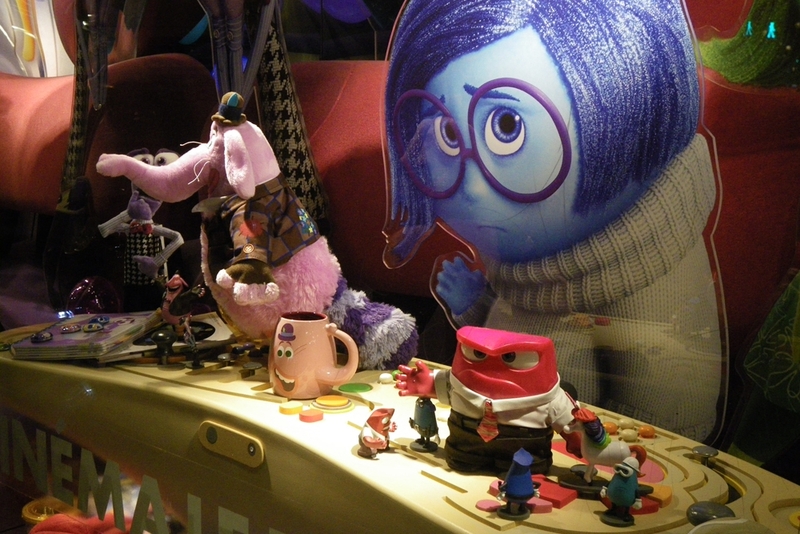 Depicting the new film for window schemes, various props and sculpts were created to provide an animated, highly appealing, colourful and eye-catching display. 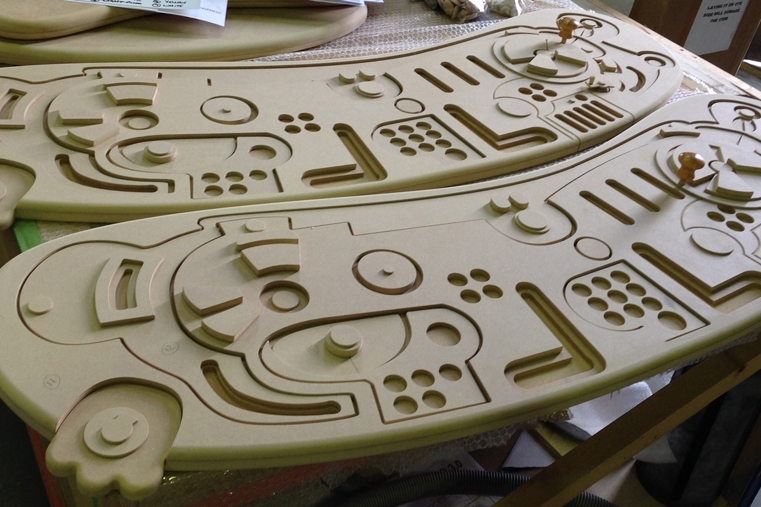 We created a 3D sculpted / MDF highly detailed and complex reproduction of the control desk in the film - based from stills it was complete with layers of buttons and dials. Scenically painted backdrops incorporating acrylic hemispheres with colour-changing lights to look like the memory orbs and spinning cogs together with the printed acrylic characters were all positioned to re-create the scene. No detail was spared with the ‘Anger’ character even featuring a flickering flame light effect on the head section. For Paris the challenge was to create everything in such a way that it would fit in the small window space and would allow room for a dresser to add in product. 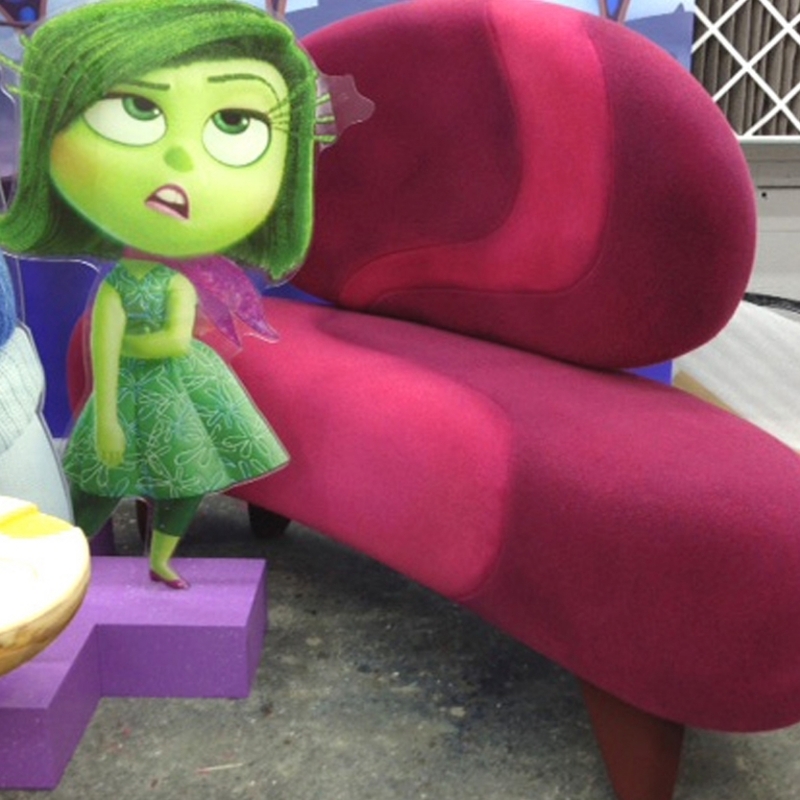 With limited reference for the props – as it was a completely new film - some aspects were particularly tricky, overcoming each challenge as it was presented the windows were created as close as possible to the filmic reference, helping to promote the merchandise release and capture the attention of passers-by, taking them into the world of Inside Out emotion.